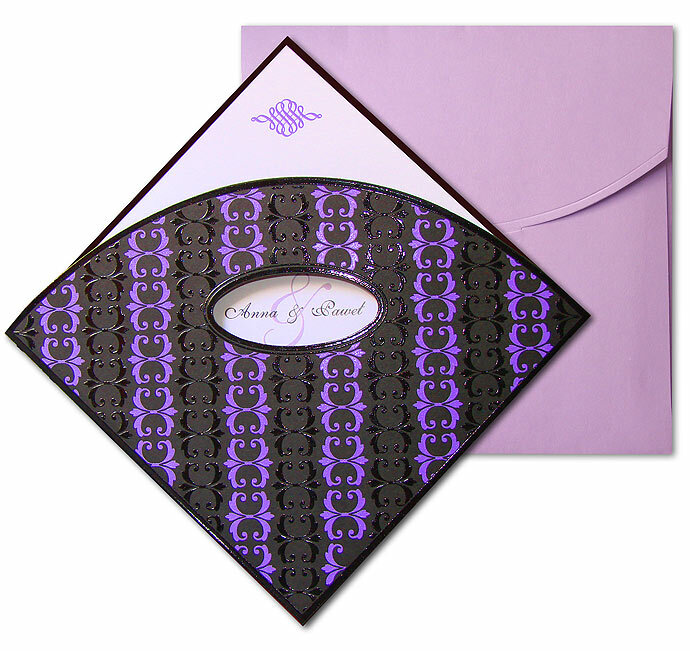 An invitation from the newest collection. The cover is in the form of a jacket made from black matte paper. 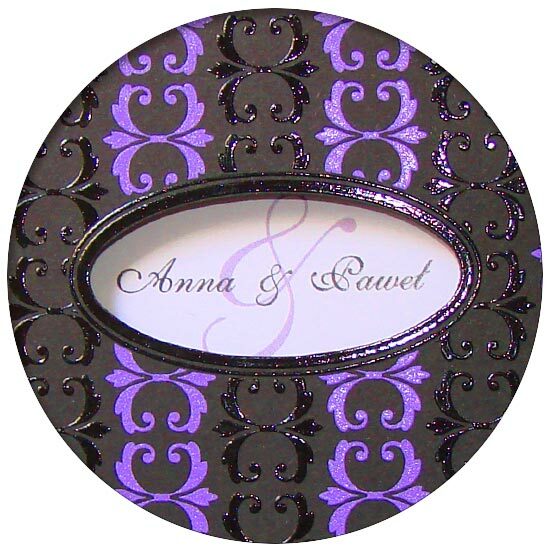 Rich embossing is covered with black and purple shiny foil. An ellipse is cut in the cover, through which the names of the bride and groom, printed on the insert, are visible. 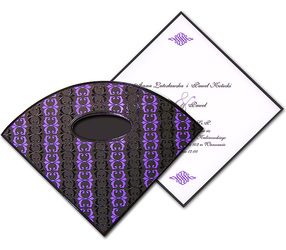 The matte insert is white. It is rimmed in black. The envelope is matte, in the colour of delicate purple.